It's no secret that I like to shop on a budget and equally as important is selling clothes I no longer use to contribute to that clothing budget. One of the tools that I have found most useful is Poshmark - an iphone app (and also online) that makes it easy to buy and/or sell from fellow fashionistas! It's perfect for selling items that are just taking up space in your closet or if you are looking for a brand name piece and don't want to pay retail price! If you haven't joined Poshmark yet... what are you waiting for?! The first 10 people to join Poshmark using my invitation code HBEOX will receive a $5 credit to shop my closet or the closet of countless other fashionistas! 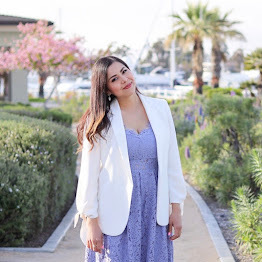 If you are already on Poshmark, join me (in person or virtually) as I co-host the "Sunshine Style" San Diego Poshmark Party with these lovely San Diego bloggers: Vanessa Balli from OOTD, Jocelyn From Bossy Jocey and Kelly from Messy Dirty Hair! Don't forget: You can Shop my closet right now! Here are some of my items that found a new fashionable home thanks to Poshmark! Feel free to leave your Poshmark username in the comment area below so I can follow you! See you at the Poshmark party! omg that's amazing!!! I will definitely be checking this out after work! I am always on a budget so this is perfect for me!!!! Thanks for sharing gorgeous!! Can't wait to meet you, Paulina! Thanks for co-hosting and helping spread the Poshmark love. <3 See you in a few days! Hey Pau, This is so exciting you're hosting and I've heard all about Poshmark but just finally joined @SavvySpice. Wow sounds exciting! I'm definitely going to be there! can't wait! I never tried before but it seems good! love those dresses its not wonder they sold! helps the model is gorg too ;) xO!